On 17 October 2012, the Supreme Court (comprising Lord Hope, Lady Hale, Lord Wilson, Lord Sumption and Lord Carnwath) will hear an appeal against the Court of Appeal’s decision in Société Générale v Geys  EWCA Civ 307. This case concerns a dispute between a bank and one of its former managing directors, regarding the date upon which the employee’s contract of employment terminated. Many employment contracts contain a payment in lieu of notice (or “PILON”) clause enabling an employer to terminate an employee’s contract immediately and make a payment equivalent to the remuneration the employee would otherwise have received, had they remained employed during the notice period (or the unexpired part of it). Under the terms of his employment contract with Société Générale (the “Bank”), Mr Geys was entitled to receive 3 months’ written notice of termination. His contract also incorporated the Bank’s employee handbook, which stated that “the Bank reserves the right to terminate your employment at any time with immediate effect by making a payment to you in lieu of notice“. On 29 November 2007, Mr Geys was called into a meeting and told that his employment contract was being terminated immediately. He received a payment from the Bank on 18 December 2007 which was described on his payslip as “in lieu pay”. On the evidence, the High Court found that Mr Geys probably became aware of the payment before the end of December 2007. It was not until 4 January 2008 that the Bank confirmed in writing that this payment was in lieu of notice. Mr Geys was deemed to have received the letter on 6 January 2008, by which time he had sought to affirm his contract. The Bank argued that the date of termination was either 29 November 2007 or 18 December 2007. Mr Geys argued that it was either 6 January 2008 or 29 February 2008. This was important in determining whether Mr Geys had contractual entitlement to an additional sum of €2.5 million, which required him to have remained in employment at the end of 2007. The High Court upheld Mr Geys’ claim, determining that in addition to making a payment in lieu of notice, an employer was required to give unambiguous notice that it was exercising its contractual right to do so, in order to effect termination of the contract. As a result, the High Court determined that Mr Geys contract of employment had terminated on 6 January 2008. 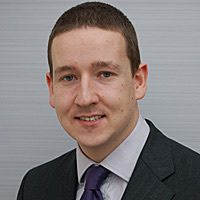 Mr Geys relied incorrectly on the Supreme Court’s decision in Gisda Cyf v Barratt  UKSC 41 (the case comment for which can be found here), in which it held that the effective date of termination (or “EDT”) for the purposes of an unfair dismissal claim was the date upon which the employee knew or had a reasonable opportunity to find out that they had been dismissed. The Court of Appeal determined that the EDT was a “statutory construct” for the purposes of the Employment Rights Act 1996. It may not necessarily coincide with the contractual termination date. In addition, it will be interesting to see whether the Supreme Court agrees with the Court of Appeal’s strict approach to the interpretation of the express PILON clause. Leave a reply on "Case Preview: Société Générale v Geys  EWCA Civ 307"